Puddle jumpers and snow angel-makers of the world rejoice. These cute, cuffed boots are made with a waterproof design and Barefoot wool-blend lining that helps keep your feet warm and dry no matter where you're adventures take you. 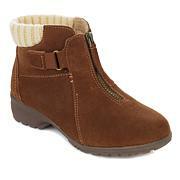 These boots are not just stylish they are also very comfortable and warm. They matched my coat perfectly. I received so many compliments. So happy with this purchase! Looks stylish and very comfy!!! 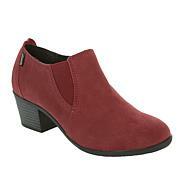 These boots are so cute and love them!! This boot fits true to size, very comfortable, and does the job keeping my feet warm and dry! Love that the knit cuff can be turned up. Looks fabulous on. 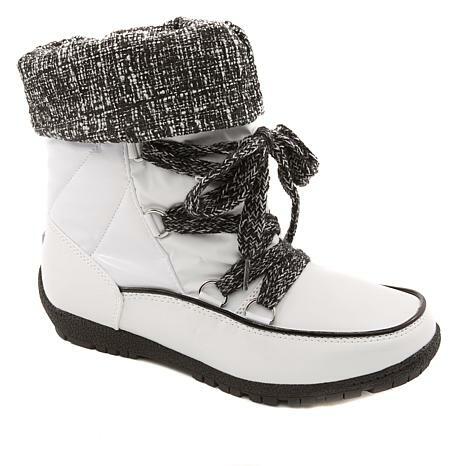 I love these boots, I got the blue and I have a blue winter coat that I wear them with. They are amazingly warm and look really great on.